Hi. My name is Maria, I'm a CrossFit coach, and I am addicted to chalk. My best 'Cindy' is just over 22 rounds. Because of my chalk addiction, I re-chalked my hands - for a measly 5 pull ups - every other round. For mathematical ease, let's say I chalked 10 times. During this workout, the chalk bucket was by my training buddy, so I had to walk to get to it. This took about 6 seconds. I then chalked my hands (3 seconds), brushed off the excess chalk (3 seconds), walked back over to my spot (6 seconds), took 3 seconds to compose myself, and then got started on my next round. That's 21 seconds of getting no work accomplished. Multiply that by 10 and that's well over 3 minutes of time that blew away, like chalk in the wind. That's at least another couple rounds I could have added to my score. How many times have you done the same thing? The chalk we use in the gym is made of magnesium carbonate. We use this magical white stuff to absorb the moisture (sweat) or oil on our hands that might be keeping us from getting a good grip on our piece of equipment. For workouts less than 12 minutes, you should only chalk once before the WOD begins, if at all. For workouts of 12+ minutes, chalk when you have strategised your rest periods. In other words, if you choose to use chalk during a workout, your trip to the chalk bucket is your rest time, your only rest time! If I feel like I need to re-chalk, I take a quick glance at my hands. If I see ANY white on them, I know that I don't need it and I carry on working. So, let's say you have your chalk strategy down, for this 12 minute AMRAP, you are going to chalk once at the 7 minute mark. But do you know where the chalk bucket is? This may sound silly, but I have seen loads of people mid-WOD running around the floor like a headless chicken, looking for a chalk bucket that was actually right in front of them. When chalking your hands, remember, a little goes a long way! Think you're getting benefit out of those Disney White Chalk Gloves? Think again. The more chalk you have on your hands, the more friction is created. The more friction that is created, the more your skin will dry out and rub against the barbell/rig. The more your skin rubs and dries, the more your skin rips! A light dusting is all you need to help your grip. 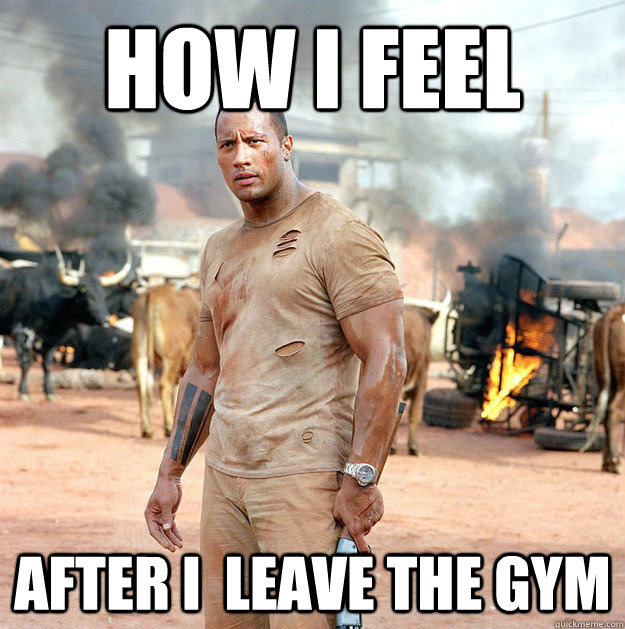 If you're one of those athletes that sweats excessively, loads of chalk will not help. Instead, invest in some wristbands (stylish, right?) or keep a sweat towel nearby. Alright, we're nearing the end of this Public Service Announcement. You have a plan of when to chalk and how to chalk, now it's time to add in the all important Chalk Etiquette. These three simple rules tie in to my ultimate goal of keeping a clean and tidy gym, but will also go a long way towards ensuring your fellow athletes aren't training in a cloud of your chalk dust! What is Hollywood Clapping? It's when you're mid-WOD, surrounded by other athletes who are breathing hard around you. You visit the chalk bucket, chalk your hands, remove your hands from the bucket and clap them together in the air, wasting chalk, wasting time and creating a mushroom cloud of dust that your comrades are now trying to cough out of their lungs. I haven't seen this that much at our lovely box, but I have seen this often in my travels, so I wanted to make a point of it here. 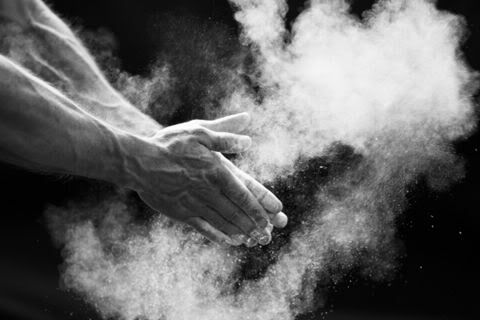 Your hands are the only bit of your equipment that needs chalk. Don't pre-chalk your spot on the rig, don't pre-chalk your barbell and don't pre-chalk your kettlebells or muscle-up rings (you shouldn't be using chalk for any other piece of equipment). Use chalk during your workout? Then after you're done, grab a wipe or the steel brush and clean up your chalk handprints and brush the excess chalk off the barbell. This takes just about a minute and makes for an excellent cool-down. This also means that the athletes in the next class won't be doing burpees in the sweaty chalk angel you left behind. 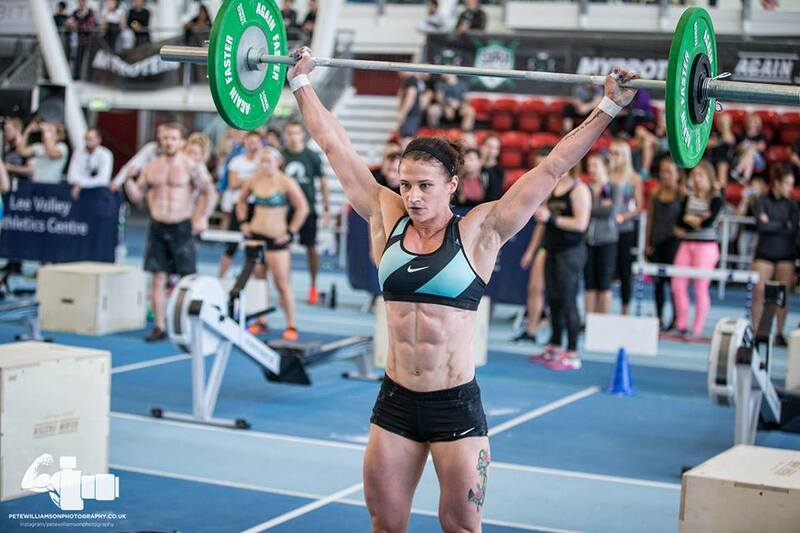 - Every time you break, complete 2 legless rope climbs before you continue on the bench press. Newer Post24 Apr 2016 - Good luck to Kunal & Liv!